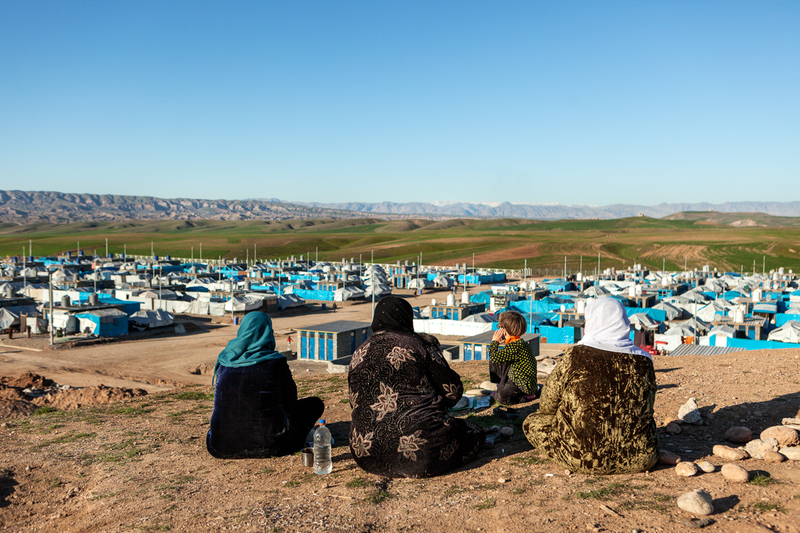 In late February, when winter temperatures still clung to the days, parents around the Syrian refugee camps in Erbil, Kurdistan Region of Iraq (KRI), echoed the same response when asked what their teenage children did each day: Qias almukhayam tawal alyawm (Measuring the camp all day long). 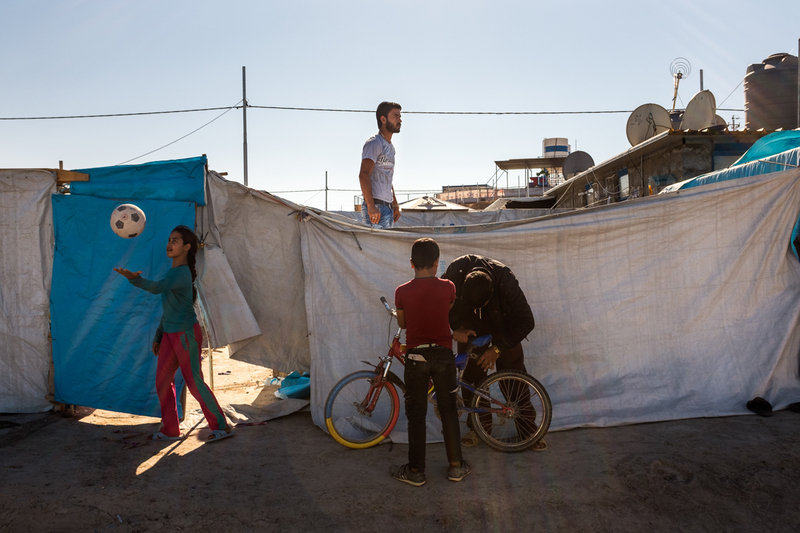 Sitting, face to face, on the thin coloured mattresses that form the central, and often only, furnishings in most of the tents scattered across the nine refugee camps in KRI, parents admitted worryingly that their childrens lives have become one of inactivity. The fact that their own predicament mirrored their childrens appeared secondary in importance. 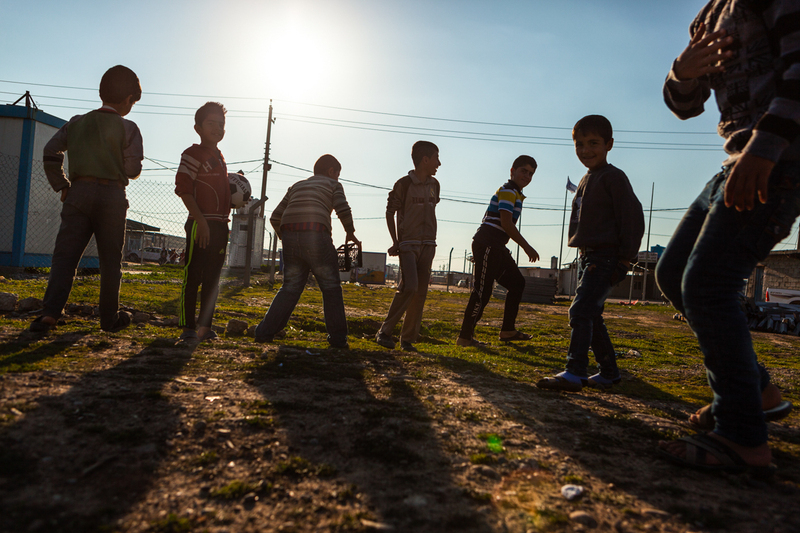 Over 39 per cent of Syrian refugee children aged 15-17 are not attending school in Iraq. Until recently, secondary education options did not exist. And while Syrian refugees in KRI can legally work if they have a residency permit, competition from the hundreds of thousands of displaced Iraqis also seeking refuge in KRI, the economic slow-down the oil price free-fall has induced, and few jobs, have made it increasingly difficult for any Syrian to make a living in KRI. 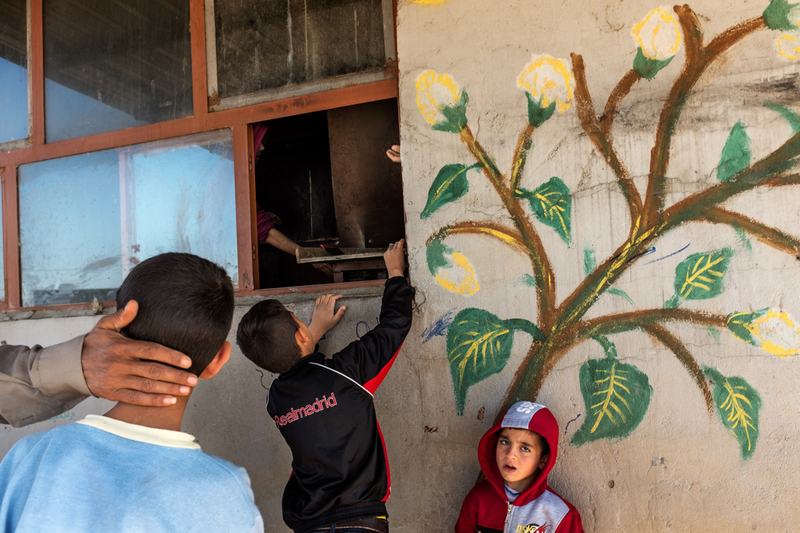 Personal savings, after five years on the move for many Syrians, have now long dried up. 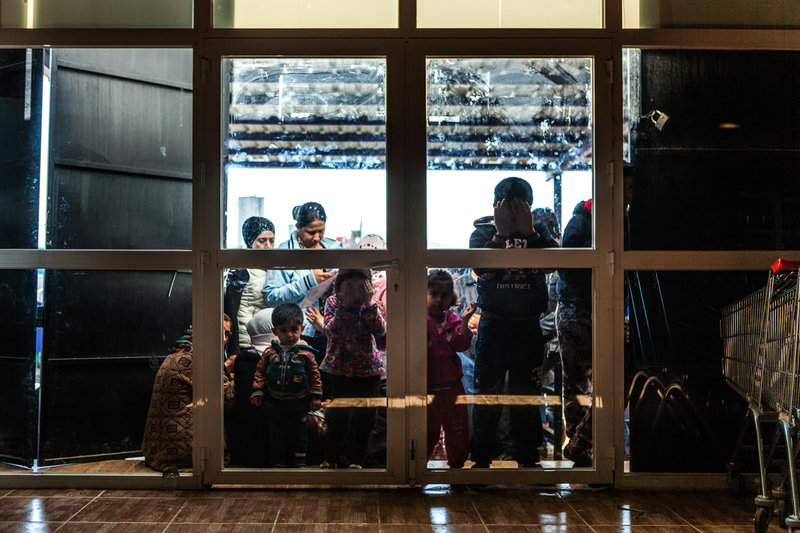 Of the 246,000 refugees from Syria in Iraq, almost all are living in KRI. Ground down by the protracted exile and the limbo of living in a refugee camp, the United Nations Refugee Agency reported that some 25,000 Syrian refugees left the KRI last year. Despite the fact that Syrians are welcome in the KRI where they live in so-called five star refugee camps, many more are expected to follow this year. Most have returned back to an uncertain life in Syria or, continue on to Europe in search of a better life. Germany in the Spring has become a cry for Syrians in Refugee Camps in KRI, determined to not waste their life in idleness. 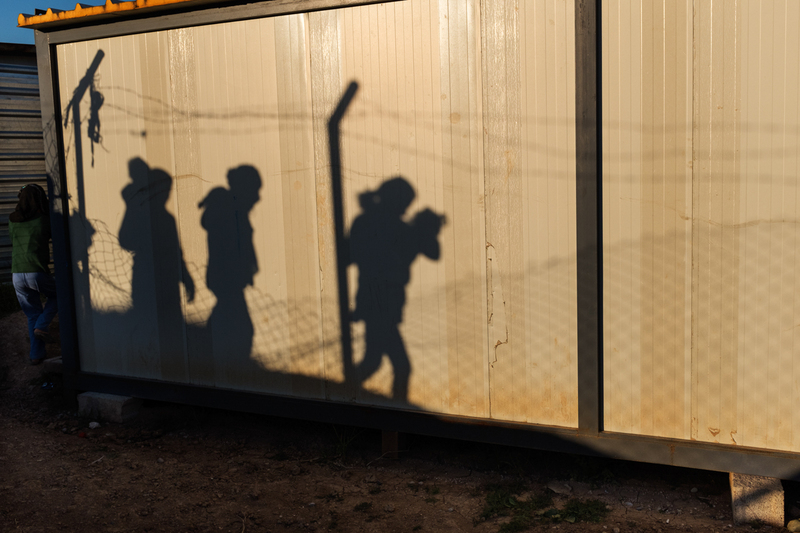 The silhouette of women carrying their young children spills onto a NGO service office in Basherma Refugee Camp. 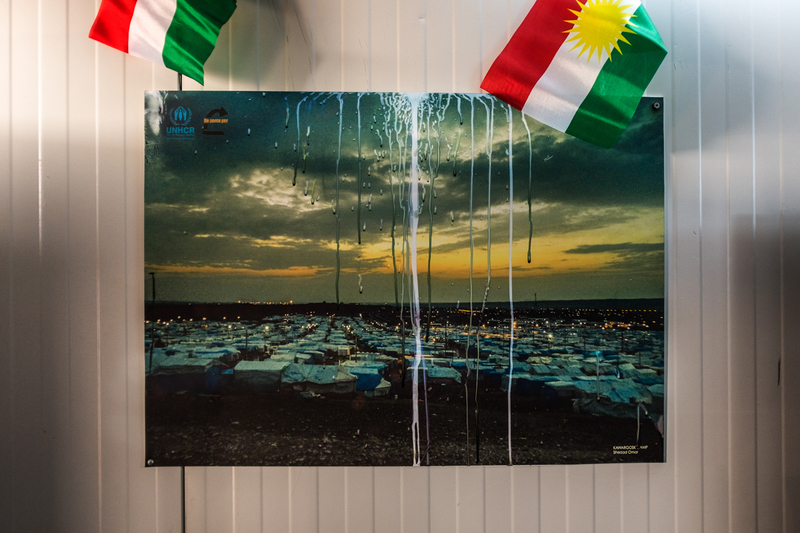 A poster, depicting Kawergosk Refugee camp, at the camp managers office. Young boys prepare for their afternoon game of football. 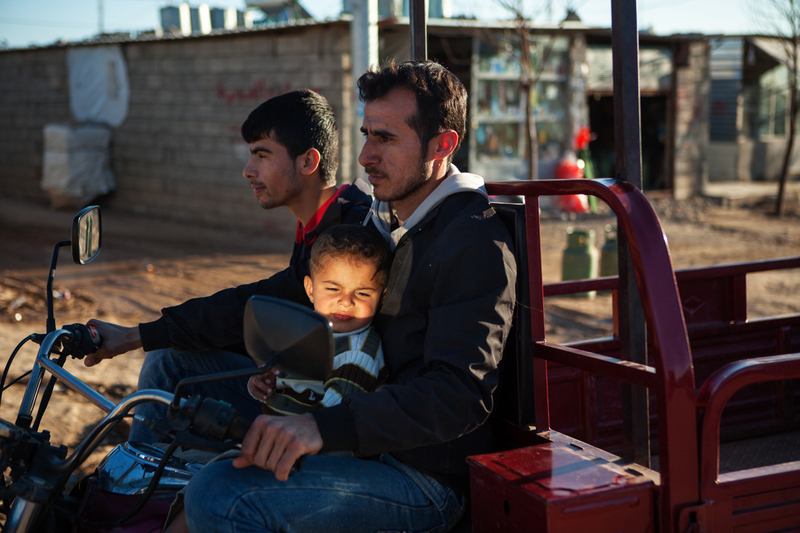 Father and son ride a Tuk-Tuk motorbike through Darashakran Refugee Camp. 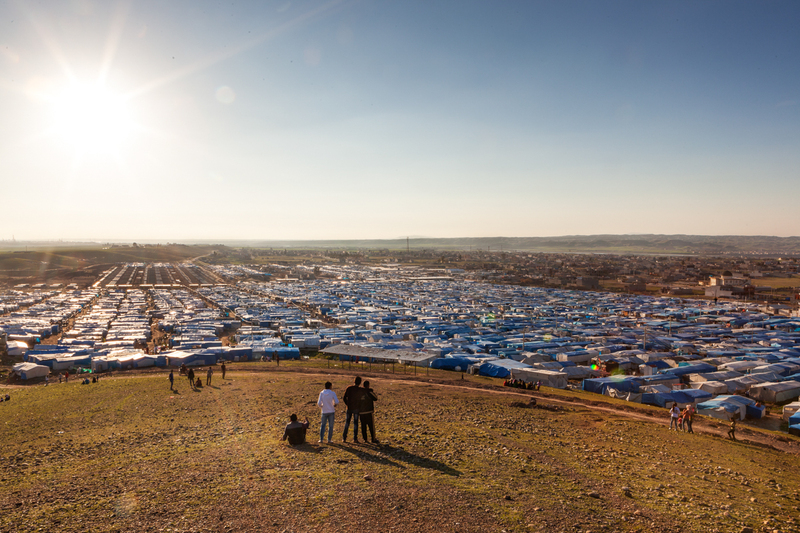 Young men pass their time on a hill overlooking the Kawargosk Refugee Camp they live in. 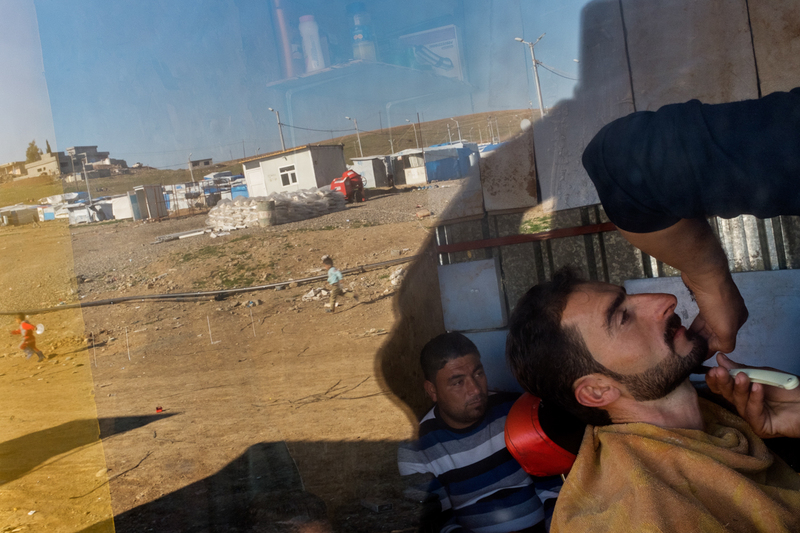 A man receives a shave in a barber shop managed and run by Syrian refugees in the Kawargosk Refugee Camp. 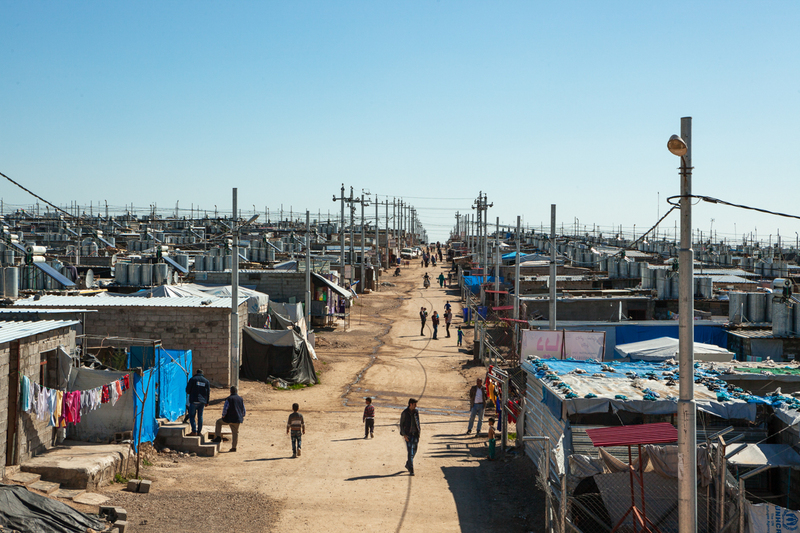 Over 10,100 Syrian refugees live in this camp. 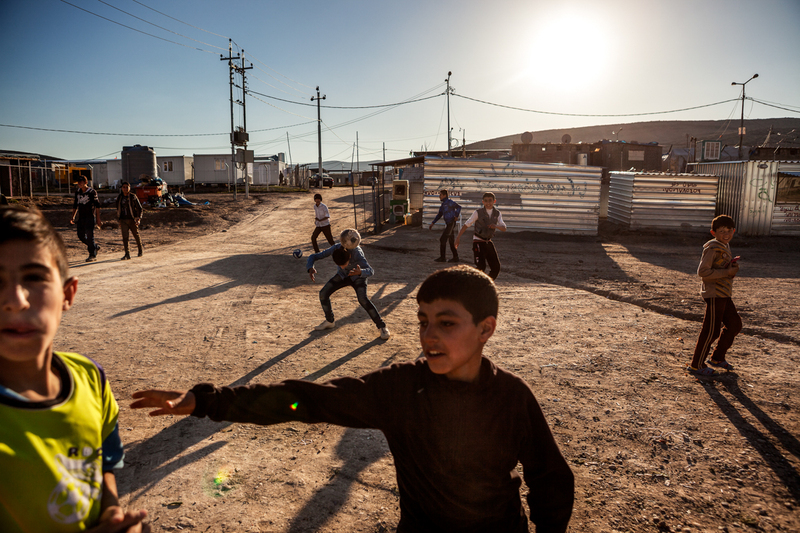 Children and young men play football on a dirt pitch at Kawargosk Refugee Camp. 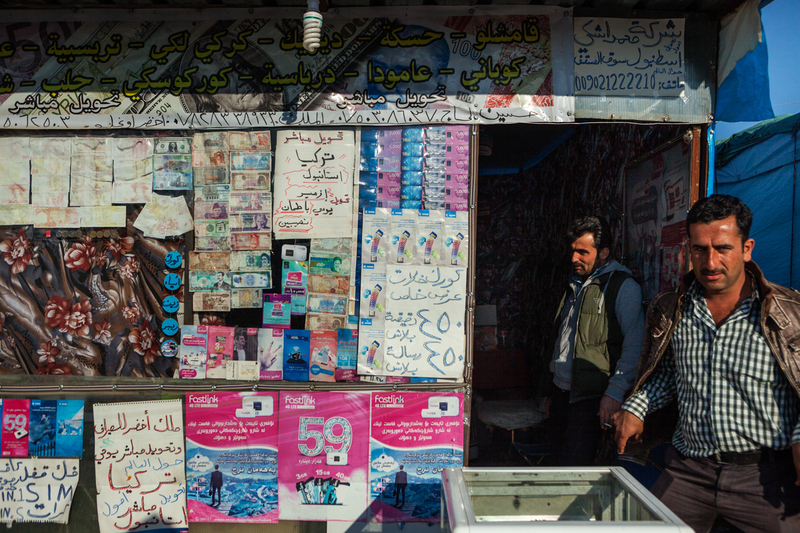 A Syrian man exits a currency exchange shop in Kawargosk Refugee Camp. This is Zain Al Sheikh, 38. 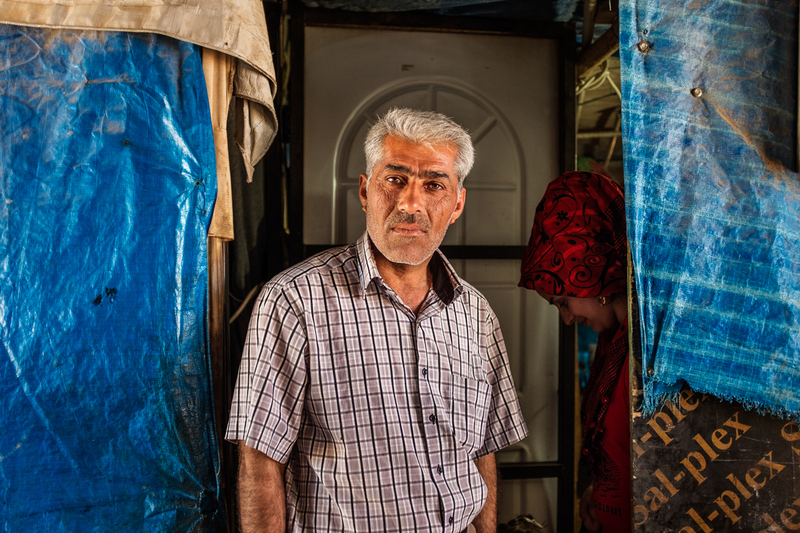 The father of three young girls made it to Kawergosk Refugee camp in Erbil, KRI, in August 2013, like most of the people in the camp. In 2015, he was diagnosed with cancer. Limited funding for NGOs to provide medical support in camps in KRI has meant Zain has not received medical treatment this year. In addition to millions of displaced Iraqis, it is estimated that 10 million people in Iraq will need some form of humanitarian assistance this year, straining local and international aid agencys already stretched resources. Daily line-up for bread at a bakery in Darashakran Refugee Camp. The camp houses 10,900 Syrians. 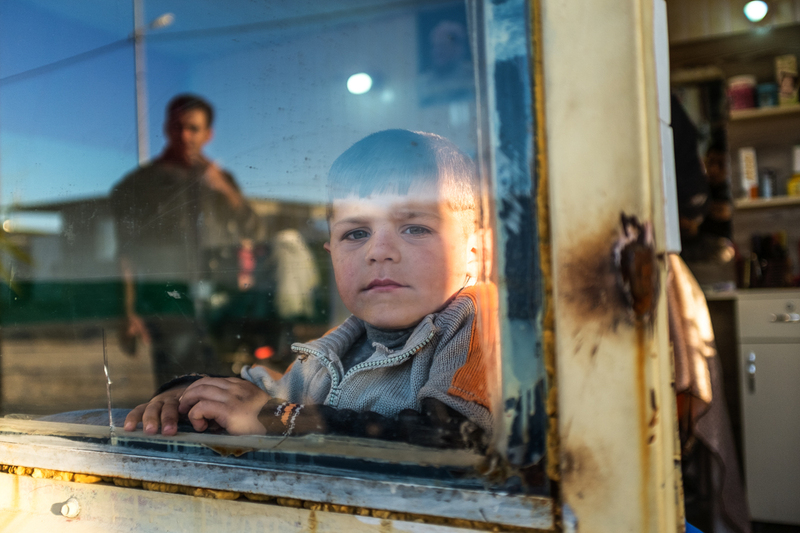 A young Syrian boy, seen through the window of a grocery store. Darashakran Refugee Camp. 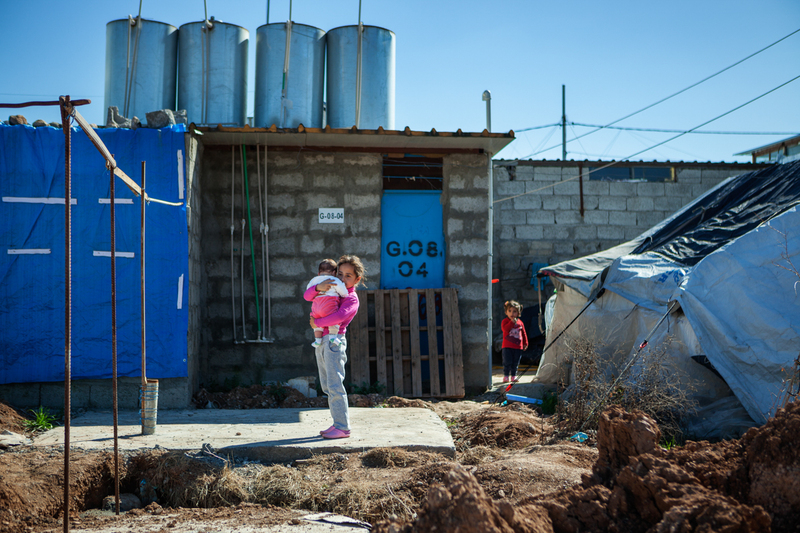 A young girl cradles her infant sister as she stands in front of an upgraded weather-proof shelter. 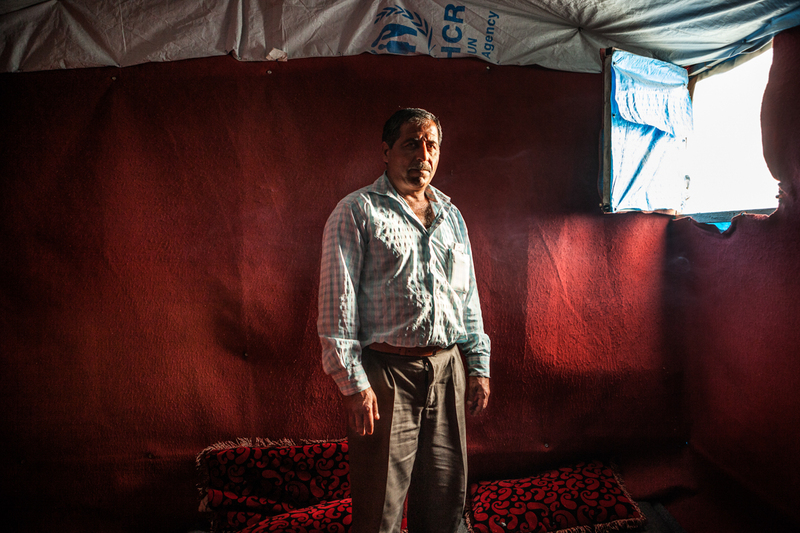 Hissam Ahmad in front of his familys tent in Qushtapa Refugee Camp, Erbil, KRI. Mr. Ahmad runs a grocery store with a partner, but says the income is not enough to meet the basic needs of his family of nine. Hissam is considering leaving with his family to Europe. Women and children overlook a part of Darashakran Refugee camp. 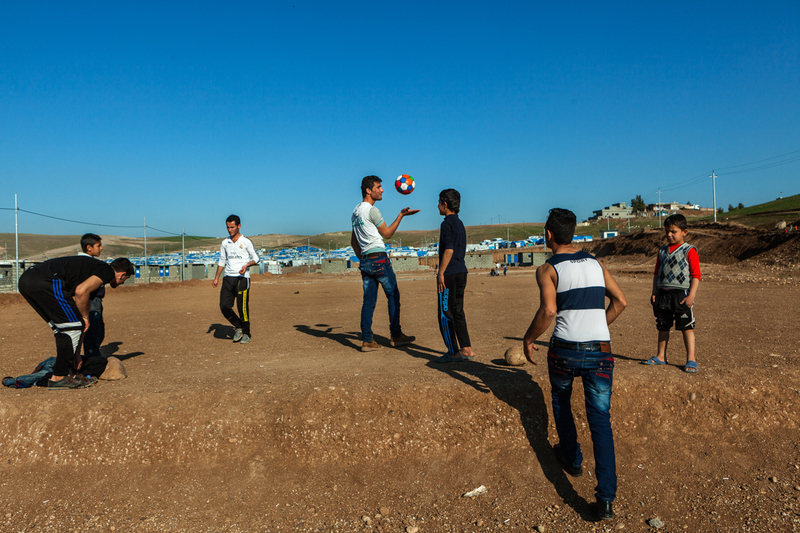 A Syrian boy makes sure his football opponent keeps his distance. Syrian families wait for a supermarket in Kawargosk Refugee Camp to open. Refugee families dubbed extremely vulnerable receive food vouchers from the World Food Program worth USD19 per person per month, while those categorised as vulnerable get USD10 per person, per month. 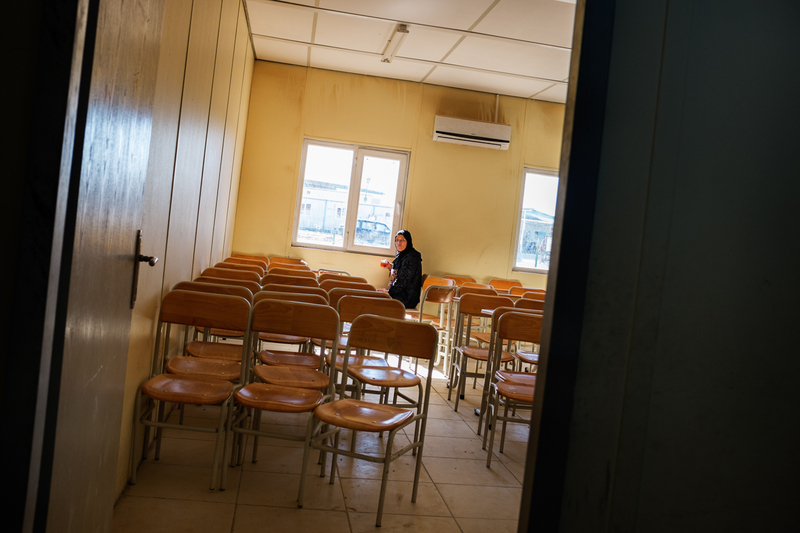 A secondary school teacher sits alone in an empty classroom in Qushtapa Refugee Camp. The secondary school was only able to open at the close of 2015, but pupils remain few with many youngsters having already left for Europe, according to the teacher. 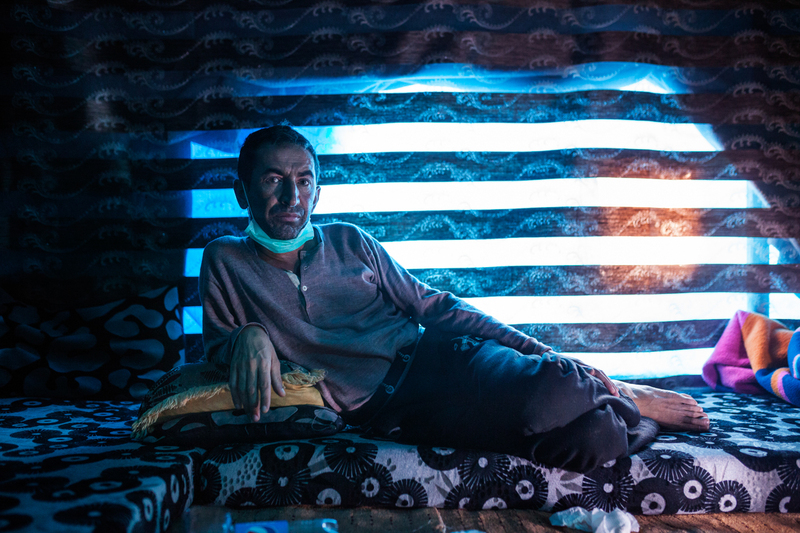 Mohammed-Hanifa Omar, 47, former owner of a heavy machinery company in Syria, in his tent in Basherma Refugee Camp. Street life in what is considered a five star camp, Darashakran Refugee Camp. A family in front of their tent in Darashakran Refugee Camp. 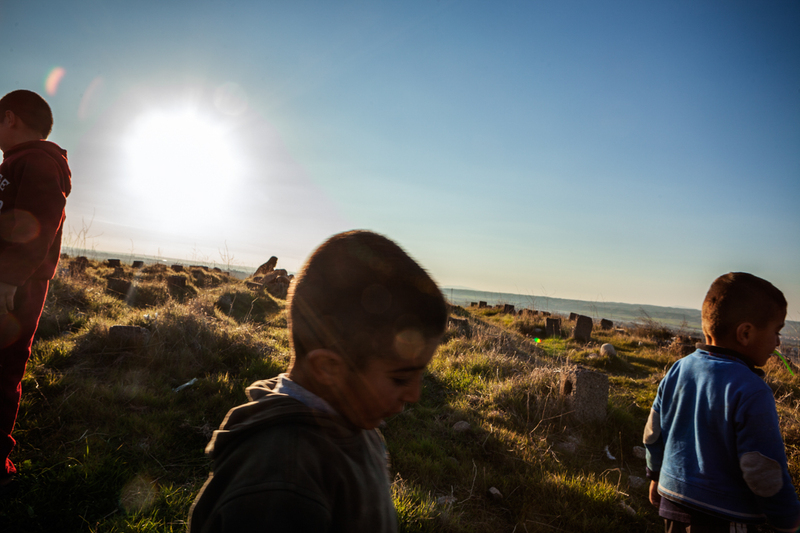 Syrian children play in a local graveyard on the perimeter of the Kawargosk Refugee Camp. 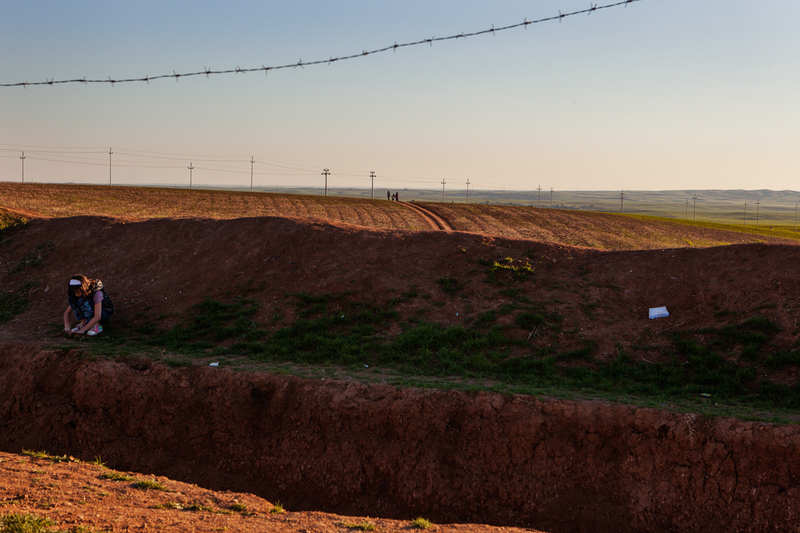 A young girl plays alone in a dry water drain on the outskirts of Darashakran Refugee Camp. 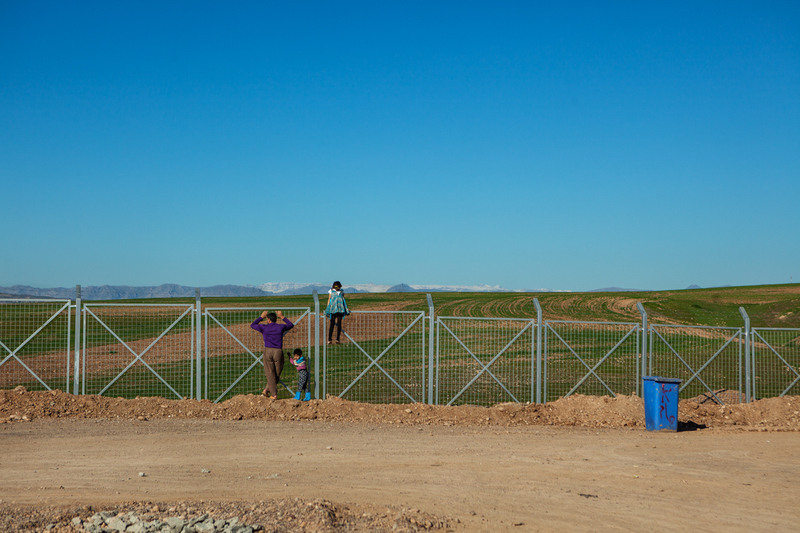 Siblings look through the perimeter fence of Darashakran Refugee camp to surrounding wheat fields. 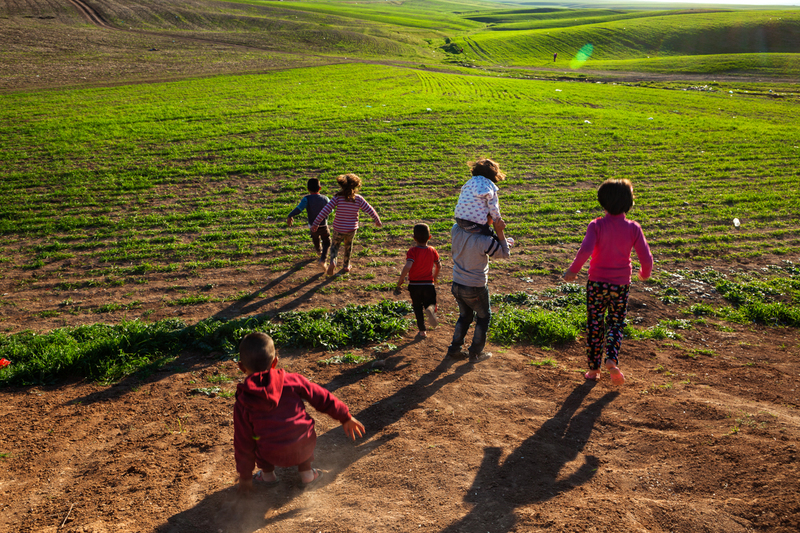 Children run freely along the banks of a dry water drain, Darashakran Refugee Camp. In 2003, following the advent of military operations in Iraq, DRC became one of the first organisations to provide humanitarian assistance, opening an office in Diyala and soon after in Basra. Today, DRC Iraq has extended its operations to nine governorates across the country with offices based in Anbar, Baghdad, Dohuk, Erbil, Karbala, Kirkuk and Najaf. Key program areas include; Emergency Response and Preparedness, Camp Coordination and Camp Management (CCCM), Protection, Sustainable Livelihoods and Social Cohesion, Water, Sanitation and Hygiene (WASH) and Shelter. The program manages four Syrian refugee camps with UNHCR in the KRI.